Sure, you’re already certified — but how long has it been since you last went diving? A few months? A few years? If it’s been a while since you were last in the water, you’ll want to take a refresher course. 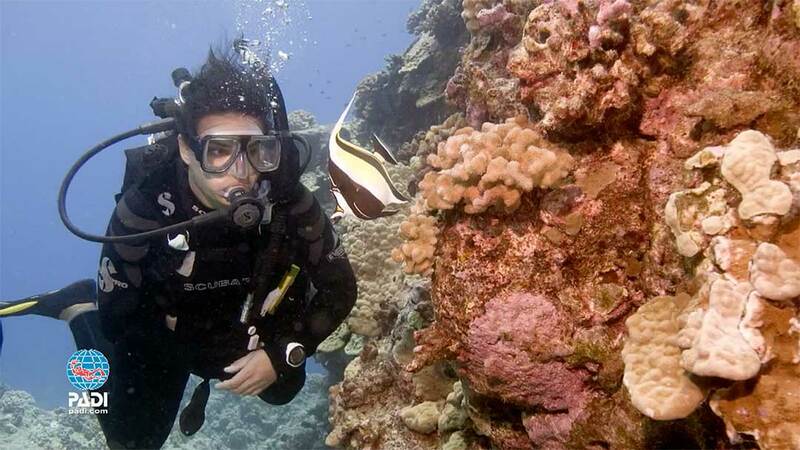 There is no better way to prepare for your next dive vacation or continuing education course. If it has been more than just a few years since your last dive, check out our Extended Tune Up option further down the page. You need to be a certified diver (any major training agency) and able to either answer No to all of the questions on the Medical History form, or secure a physician’s approval prior to taking part. You start by completing the convenient, self-study materials. Then join one of our instructors or divemasters for a classroom discussion and a trip to the pool to go over critical skills.
. Pool sessions take place at a nearby pool. Starting times for classes vary by time of year and pool used. Contact store for details. Please Note: While we make every effort to ensure that the information appearing on our website is accurate and up-to-date, it is your responsibility to call Just Add Water at least 24 hours in advance to confirm date, time and meeting place. If it has been more than a few years since your last dive, you really need more than just a quick tune up. If this is the case, you should consider our Extended Tune Up option. This basically involves sitting in on much or one of our regularly scheduled Open Water Diver courses, including both days in the pool and all required skills. The cost is $255 and includes the course materials, a Friday evening orientation session and two days in the pool. It’s recommended if it has been more than five years since your last dive and essential if ten or more years have passed. We schedule these on an as-needed basis to coincide with our regular Open Water Class and Pool courses. Contant either Just Add Water location for more information. You can sign up in person or over the phone at either Just Add Water location. If you sign up over the phone, you will still need to visit the store as soon as possible to pick up training materials and complete or turn in paperwork. Proper equipment is essential for your safety & comfort while scuba diving. While we do have an extensive rental department and can lend you most required diving equipment, please be aware that you will be required to supply your own set of scuba appropriate, mask, fins and snorkel (we do not rent these items.) If you do not already own these items, please stop by Just Add Water to be educated on the different styles and what will work best for your diving habits. Being professionally fitted, (especially for your scuba mask) is essential. Your comfort and safety are of upmost importance to us at Just Add Water. We will do everything we can to make sure you are comfortable in your gear and enjoying your scuba experiences to the fullest.